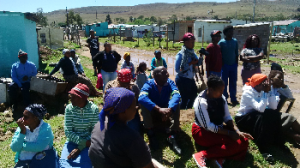 COFIMVABA, (CAJ News) – FOUR people have died and 20 others injured in incidents linked to illegal and unsafe electricity connections in the Eastern Cape Province this year. The statistics indicate an escalating problem after six people were killed and 20 others injured in the 2016/17 period. Eskom officials disclosed the figures at the just-ended Public Safety Media Tour of Cofimvaba in the Chris Hani District Municipality. Unathi Figlan, Eskom Senior Manager for Maintenance and Operations, raised concern at the deaths, which she said were avoidable. She said apart from illegal and unsafe connections, other risks in the region include cable theft, objects obstructing power lines, overloading of plugs, low-hanging conductors, sub-standard wiring and repurposing of appliances. The power utility has since embarked on a safety awareness programme around the province. “We are positioning Eskom as a caring corporate citizen, actively working in a partnership with all citizens to achieve safe use of electricity,” Figlan said. The campaign targets mostly school children. “They are the worst affected by electrocutions. Also, if they are educated on the dangers of illegal and unsafe connections, they will be able to share the information with their parents and families,” Figlan said. Khanyisa Mdleleni, Speaker of the Intsika Yethu Municipality, pledged authorities’ commitment to work with Eskom to address the issue of illegal connections. “We will work with Eskom and report illegal connections to police so that we address the loss of lives and other dangers,” she said.